Michael: Welcome back to the show. I'm here with Carol Hamilton, and she is gonna talk about some of the behind the scene's info at this year's CF Objective. We're gonna look at some of the exciting speakers at the conference, some of the topics coming up that are interesting, and talk about the location, which has changed since last year. There's also some interesting options available this year that weren't available in prior year objectives. 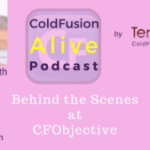 We'll talk about Carol's role in how putting CF Objective together. Carol Hamilton: Hey, thanks for having me. Michael: So what are the speakers that you are interested in this year? I know you're involved in helping pick the speakers, so you probably know everything about all the speakers. 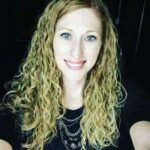 Carol Hamilton: Yeah, I guess that's the problem with asking me that is that I do know all the speakers and I get to know them pretty well working with them over the year, over multiple years, seeing them around. So I mean, I'm not gonna be able to pick a favorite but I would have to say I'm super excited to see Mark Usher back. Did you ever get to see Mark Usher around when you were around? Michael: I haven't. So what in particular are you excited about Mark speaking this year? Carol Hamilton: So, Mark is our keynote this year. I surfed around, narrowed it down to three amazing keynotes, from three amazing speakers, and we voted and decided to take Mark back. He left us for a while but he's coming back. He's going to back talking about the human side of software, so not CF related, just more developers interact with each other, how their teams function, how working remote makes a difference from working on-site with someone. So, I'm really excited to see his keynote this year. Michael: That sounds really interesting, and I think that's a place where a lot of projects fall down. Carol Hamilton: It absolutely is. Michael: So, I would agree on that. Michael: And Charlie Ebb to work together on systems. Carol Hamilton: Oh yeah, Charlie is an expert on all things ColdFusion, so take advantage and pick his brain while you have it. And, we have Louis, Louis is big Coldbox. Yeah. Michael: Yeah, Louis Mahano is going to be there talking about Coldbox. I see you've got Gert Franz coming all the way from Switzerland whose going to be talking about Lucee. Carol Hamilton: Yep. He's a big Lucee contributor. Michael: Any other speakers that catch your eye? Carol Hamilton: Oh yeah, you've got Mark Drew, you didn't even mention him. He's huge. Ray Camden. Anything that Ray does, he just blows my mind every time he talks. We have Chris Quosmo coming back. He took a year off I think with some work and stuff, so he's back again this year. Dave Ferguson, our handy dandy Sequel guy. Gavin Pickering. Gavin submitted so many talks, and so did Nolan Erck, so both of those guys go above and beyond to give back to this community. So like I said, it's hard to just narrow down to a favorite, they're all so good and we worked so hard to get all these guys in here, and ladies, we have a few ladies, too, started to get some in, get some sessions for them. Super excited. Carol Hamilton: I don't know the count. We have 26 speakers this year, so I don't know what our normal is. I think 26 is good. We only have four rooms this year, we dropped a room, so by dropping the track we were able to save some money, get the rates decreased, so that helped. But, we still have 26 people. Michael: Great, and normally an opportunity to hear the speakers in their workshop, but also to meet them in the corridor and maybe buy them a beer at the bar and really chat with them in detail. Carol Hamilton: Absolutely, that is one thing that I've always loved about this conference is we keep it small, and they kept it small before I was involved. So, we keep it small so that attendees have the ability to interact with the speakers. And, you can just sit and have conversations with them and sit at the bar and buy each other a drink and talk, and a lot of relationships I've made in the CF world have came from CF Objective, and I value those people a lot. Michael: Great! So, lot of interesting topics this year. Any in particular that interest you Carol? Carol Hamilton: Oh me, I'm curious about Open Wisk. Have no idea what it is. It's something Ray's speaking about from IBM, so I'm gonna go see what that is. Adam and the other guys picked that one, and I just said, go ahead because everyone else said yes. It's gonna be one of the things that I know nothing about. I'm gonna go into it complete intro figuring out what it is. I think it's like [inaudible 00:05:57]. So, we'll see. Should be interesting. Michael: Well he, Ray's a great speaker so whatever the topic he talks on is usually good. Carol Hamilton: You know, yeah. Anything he says you can follow along, and if not, he's one of those guys that you do go sit and talk with after and you come out understanding it. I'm actually curious about Mary Jost's air handling, I think that's where a lot of developers lack some skill at when it comes to ColdFusion is knowing actually how to air handle correctly, and not just going in and pulling out the log. There's a lot more you can do than just the application log, so I think that will be good and it will be educational for everyone. Carol Hamilton: Oh yeah, she goes over all of it, so I'm super excited about that one, too, because I think it's going to be a huge hit. Michael: And then looks like Mark Drew's going to be helping us get going with Darko Containers, so I know that's something that a lot of people are interested in, and I've seen a lot of progress in the ColdFusion world towards doing containerization, and of course some of the stuff that OTIS helps with that. Carol Hamilton: Oh yeah, they have some great modules to help with that. But, we did Darko last year, a couple different talks on it, and they went over really well, so having him and Ed, I think it's Ed, Eddie, is also doing one. So, goes to Drew's first and learn it, and then go to Eddie's about actually automating it and going to scale with it. Michael: What are the tracks? Do you have tracks this year? You said there were four rooms, but are the talks organized into different tracks or how does that work? Carol Hamilton: So, we originally tried … Okay, let me step backwards. We used to be completely track-based. One room you would go into the entire conference and that's where all your Java Script would be at. You would go in one room, and that's where all your ColdFusion stuff would be at, so this year we actually went a different route and we did tag dates, so we had submit so that overlaying topics could still be put together. So, we didn't really go track-based, we tried going more, I don't know TFML in a room, and then everything else, everywhere else, if that makes sense. The tag thing didn't quite work as expected this year, so I think next it will go back to a track based system. It was agile, you try, you don't like it you do something else. Michael: Well, that makes sense. And, this year's CF Objective over two days, is that right? Carol Hamilton: Yes, previous years, CF Objective was three days. It was called three days. It was technically two and a half day because that their day we didn't do a full day, so this year we decided to, like I said earlier, drop one track so one less conference room that we have to book, and then drop that third day off which substantially cut the price for attendees. So, it took you from the 899, 799 early bird rate, to the 499. So, it was a huge different just by dropping off that one track and then the half day on Friday. Michael: And it looks like you're starting pretty early on Thursday, the 20th of July. I've got it up. 8:00 AM start on the Thursday, and an 8:30 AM start on the Friday. Carol Hamilton: Yep, we did. We bumped it up a little bit because we wanted to try to utilize all the time we could. Michael: And then, I know you've got, you mentioned Mark Esher is doing the keynote on the human side of software, then you've also got Adobe coming in on the Friday doing a general session. Can you tell us anything about that, or whose speaking on that? Carol Hamilton: I can't tell you anything about that yet, you just have to wait and say. Adobe is Platinum Sponsor this year, so with that they get the keynote and we agree to do them on the second day keynote because we really wanted Mark Esher on the first day. We're super excited to see him. But, Adobe is going to bring some great thing, and I think everyone will be excited to go to it. It's not going to be a keynote where you walk out feeling like you've just been told to go buy something that you already have, so why did you even come to it? So, I think you'll be excited. Michael: All right. Cool. Any other topics that stand out for you this year? Carol Hamilton: I don't think you're going to go wrong anywhere. Go to Ray's note for JS, I know I keep saying Ray's stuff. I probably should find other people to brag about, but you love who you love sometimes. Charlie is [inaudible 00:11:31] servers, that's always good. It just helps you figure out where your load is coming at and how to fix it, and can your server even handle load, because usually your server can, usually bad code can't. I think that's pretty much [crosstalk 00:11:51]. Which one's that? Sorry. Michael: Great. Oh, I think Charlie's talking about how automated spiders and bots can be surprisingly using up a lot of load. Carol Hamilton: Oh. I need to quick on that … I may have said that wrong. I thought he was doing that on unexpected load. Okay, yeah, I might have misunderstood that one when I looked at the schedule a while ago. Sorry. Michael: So, I know you've moved from Minnesota over to a new location in Washington D.C. Tell us a little bit about the new location. Carol Hamilton: So, for the few CFMLer's left in Minnesota, there's not many, there's only a couple left and I don't think I'm going to offend anyone when I say that the market is just kind of dried up there so everyone was having to travel in, and getting to Minnesota isn't the easiest place to travel to when you're traveling internationally or even when you're traveling across country. Those attendees and speakers would complain about having the hot flights and things. So, we looked for a location that was easier to get to for people. We went West Coast, we went Atlanta, we went Chicago, we went D.C. and at the end of it after a lot of discussion a lot of price hunting, a lot of thinking about our attendees and speakers, we decided on going to D.C., and part of that was we hope that with the D.C. move we will pick up some of the government employees who have budgets for training but no budgets for travel. So, by doing that we open ourselves back up to some other attendees that might not have been able to go elsewhere. Michael: And, where in D.C. is it gonna be held? Carol Hamilton: The conference is at the … Let me look at the name of it because I always say it wrong. I think it's the Newsroom? Michael: The National Press Club? Carol Hamilton: There you go. The Press Club. I should know that off the top of my head and I don't still. Yes, it's at the National Press Club and the speakers and the committee will be staying at the JW Marriott, which is .02 of a mile from the venue, from the Press Club. Michael: Well, that's a great hotel, and it sounds like a great location. Lots of different rooms, easy to the metro, as well. Carol Hamilton: Yes, that's kind of what we looked at that people commuting in would still be able to come. People looking for rooms should be able to find a room close by, walking distance, and should be able to afford the hotel. Michael: So, you mentioned you're looking at more government attendees coming, have you done anything to help them come apart from the location? Carol Hamilton: So, we've also included a government rate this year, which we haven't done in the past. The government rate is basically an extension of the early bird rate for any government employees. This doesn't mean that you have to be a federal employee. We're honoring this at the State level. Any government employee is considered eligible for it, and it's 499 for the two day pass, rather than the 599. Michael: And, what do they have to do to qualify for that, do they have to have a government email address or ID or something else? Carol Hamilton: So, not to say I told you this, but you just click the box and say you're government. We're not doing any strict validation on it. If you say you're a government employee and want the $100 discount then you get the $100 discount. Michael: All right. And then, do you have any other new options this year for attendees? Carol Hamilton: Yeah, so the other option we have is, we have implemented a one day pass. We had some people ask about it, and after a couple emails we decided to do it. So, if you want to just come on Thursday and see some speakers, it's $399, if you're government, it's $349. On Friday, same thing $399, or $349, so you basically get $100 if for some reason you can't attend both days or you just want to come one day. Michael: Great! Well, lots of innovation at CFObjective this year. So, you've been involved with the conference for some time. For people that don't know, what exactly are your roles in CF Objective? Carol Hamilton: So, my role specifically is, previous years I was on the CAB and just kind of … I was a speaker a few years and then on the CAB, and then this year I took over as co-chair with Adam Tuttle, a really, really, really great guy. He and I are co-chairing the content on the advisory reports. We're sharing the responsibility of finding all the speakers, helping them with content if they need help with it, finding things that the market needs to learn about that they want to learn about, going over all of their presentations and making sure that everything they have in there is appropriate and that all of our attendees actually gain knowledge from the session, rather than just sitting and wishing they hadn't come. So, we try to put a lot of time into making sure that everyone who attends has the ability to learn. And then, we also are on the steering committee. As part of the steering committee we're responsible from everything A to Z. Jim does a great job with staff meetings, organizing the venue, but outside of that we basically handle it. We do the marketing, we do all the email blasts you get, we meet once a week every Thursday at three or four to talk for about an hour about what we're doing. We try to come up with new ways to attract new attendees, make sure we have great speakers. Whatever gets done for the conference is done by about six people on steering, and then we have six people on the CAB who also do a lot of work. 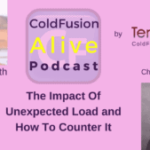 Michael: So, it sounds like you do a lot of work vetting the content and the speakers, and helping them make sure that their talk is going to be of interest to ColdFusion developers. Carol Hamilton: Yeah, that and we try to make sure there's not a lot of overlap. So, we try to work with the speakers who are on the same topic, like Docker to make sure where you left … Where speaker A leaves off, speaker B can either pick up and go more depth into or go a different way with it so that you don't really want to learn about Docker but then get the same knowledge in two sessions, you actually gain knowledge from both. We have great speakers, we have some amazing people and it's not like they need hand holding or any help. They submit and they're good to go. But the ones that do want help, we definitely have the people wanting to help with that. Michael: Great! Well, sounds like a lot work to do this, and it something you do year round or is it just a few months? Carol Hamilton: It is absolutely year round. After the conference ended last year, we met every week for a couple weeks to just gather information about how the conference went, how it ended, what can we do differently, and then I think we took three weeks off, or four weeks off, but since then we've met every week, every Thursday since then because it is a lot to do, definitely. Carol Hamilton: It's a year round commitment. Michael: Yeah, I'm sure it's worth it to make a great event, and you not only do this, you're also a developer full-time, and you're a mom full-time, so you've got at least three jobs at the moment. Carol Hamilton: You know, sometimes I wonder how I have time to sleep. But yeah, it's worth it. You only live once, so you just keep going, you get it all done somehow. Michael: Well, I'm sure everyone attending really appreciates all the work you and the other content advisory and steering committee people, people at CF Objective, too, to make the event as good as it is. Michael: So, if folks wanted to reach you online what's the best way to do that, Carol? Carol Hamilton: The easiest way is just to grab me on twitter @k_role242. K-role, you'll find me. That's probably the easiest way.